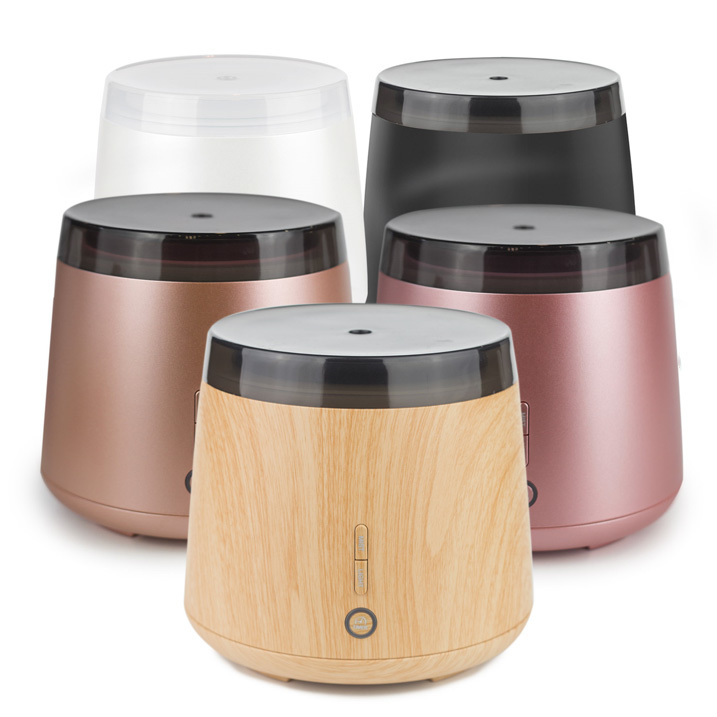 Lively Living are Australia's premium aroma diffuser specialists. From the humble beginnings of the Aroma Bloom series, this range of aroma diffusers using cold mist technology have increased significantly in just a few short years. We have 12 of different diffusers in our range in store. Only some of them have timers. In this blog we'll tell you why a timer can be useful in your aroma diffuser and which of the diffusers in the range have a built in timer. Read to the end and you will find out how you can 'life hack' any aroma diffuser to turn on and off when you want it to. Why have a timer on an aroma diffuser? For me, using an aroma diffuser with a timer has always been my personal preference. I like to diffuse for 1 to 2 hours and then turn it off. Why? I made the mistake early on, before learning about the safety around using essential oils, that if you diffuse cooling oils for too long (for me, it was Eucalyptus for around 7 hours straight) that it's not good for your body. I felt my lungs get cold from the inside. It 2 days for it to settle completely. Always read up on the safety of diffusing specific single essential oils for extended periods. While some may be relatively harmless, others are not. By choosing to diffuse essential oil blends, you can decide whether it's best to diffuse with 3-5 drops for a short period of time and use a timer to turn it off, or whether you would prefer to only use 1-2 drops and diffuse all day (or all night). For example, the Vitality blend from Lively Living is a bright and zingy 'pick me up' and would be perfect to diffuse for just an hour or two at a time. Their Child Calming remedy could be diffused through the night with just one drop to assist through the night if the child wakes and becomes restless. It's not necessary to diffuse essential oils all day to feel their benefit. A gentle waft of a lingering aroma can be felt in a room after you've finished diffusing as well. Save yourself money by only diffusing periodically and change up the type of oils you diffuse as well for best safety protocols. Whether or not you need or want a timer on your diffuser very much depends on the person using the oils and what you're diffusing. Read further down in this post for "2 Life Hacks" for timing your essential oil diffusion when your aroma diffuser doesn't have a timer on it. Which Lively Living aroma diffusers have timers on them? Aroma Dream and Aroma Elm both have timers on them. Both aroma diffusers have a long run time, up to 20 hours, so being able to switch them off is an important function in something that will run almost all day and night. In smaller diffusers, it's easy to only half or quarter fill a tank to get a fairly accurate auto-shutdown time. While both of these diffusers are visually very different, their internal workings and features are virtually identical, both having a large tank capacity, a 30-35 square metre mist dispersion and low mist feature to run up to 20 hours. The lights play less of a role in the Elm with the top cover being a dark opaque on all but the white model. 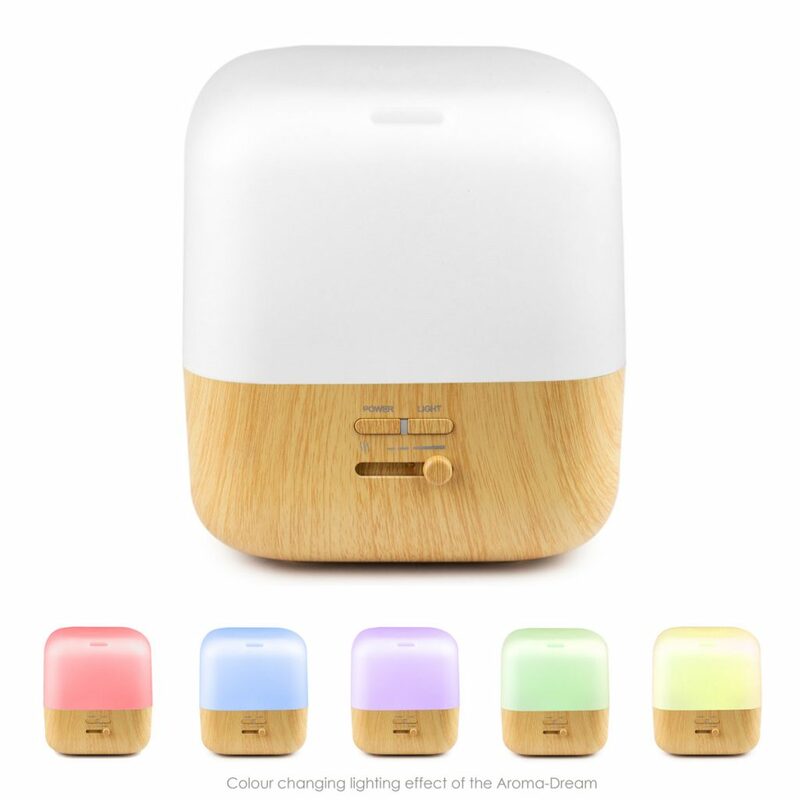 The Aroma Dream has been designed for night time diffusion in mind and colour therapy changing lights for little ones. With a large clear opaque cover, the lights drastically change the visual look of this diffuser. (see below, Aroma Dream left - Aroma Elm right). If you have a diffuser with a 6 hour run time and you want to diffuse for 2 hours, just fill the tank 1/3. To make it simple, find out what the full capacity is and use a measuring cup. It's not always easy to 'eyeball' 1/3 or 1/6 of a tank. Be sure to reduce the number of drops of essential oils accordingly. You can use these for any electrical device, a fan, a toaster, kettle, coffee maker and your diffuser too. Simply plug your diffuser in to the wall using the smart power plug and download the app on to your phone that controls the plug. You can get them to turn ON or OFF any time to program in. If you see an aroma diffuser you love more than one of these two but really want the timer feature, a smart power plug opens up all your options. I believe Google Home can be programmed to run most of these too, so a simple "OK Google, turn off my diffuser" can be arranged as well!